Let your Droid go for a solo spin! 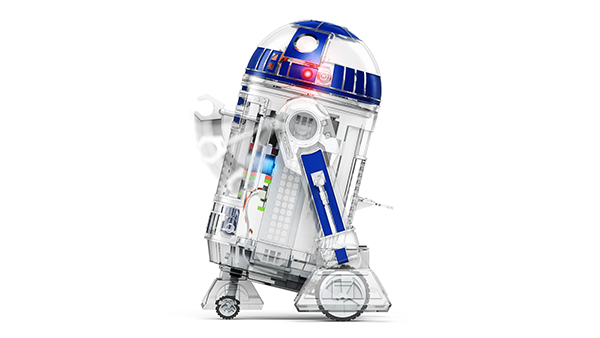 The Droid detects obstacles and changes course like it has a mind of its own. Kids can record covert messages onto their loyal sidekick, then send it off to securely deliver the news. Every kid is different, so their personal Droid should be, too! Custom stickers help kids make it their own. 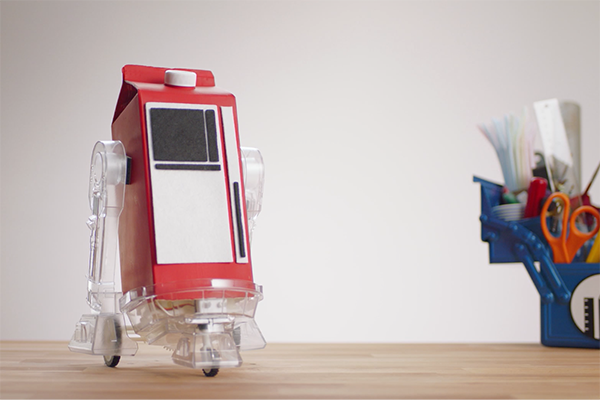 Kids can bring imaginative new Droids to life using household items and craft materials. 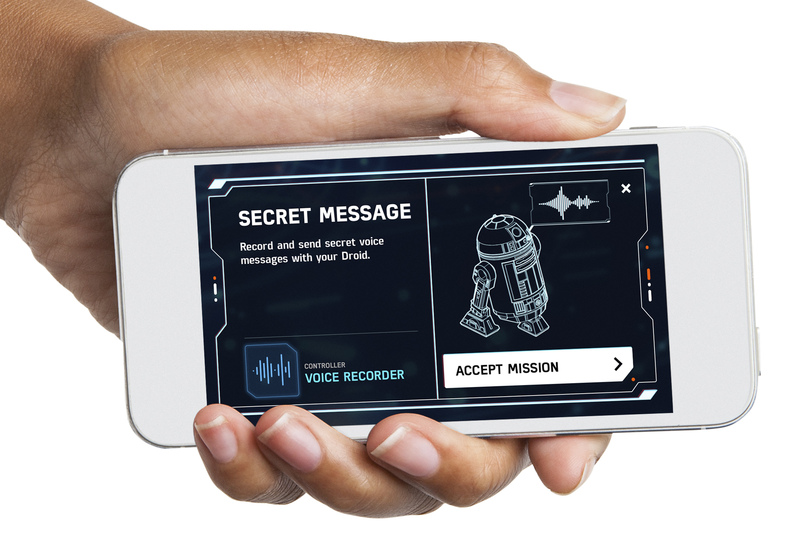 Add an additional Droid part (included) and this Droid can draw out secret maps or messages! This Droid knows how to turn heads! Kids can reconfigure it to spin its head 360 degrees, just like in the movies. 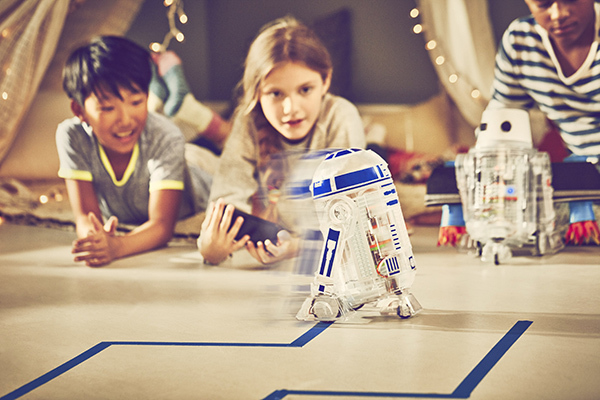 Kids train their Droid to navigate through obstacles and make masterful maneuvers. Everything's on the companion app! From video instructions to missions & controls, this is a Droid Inventor's most important tool. 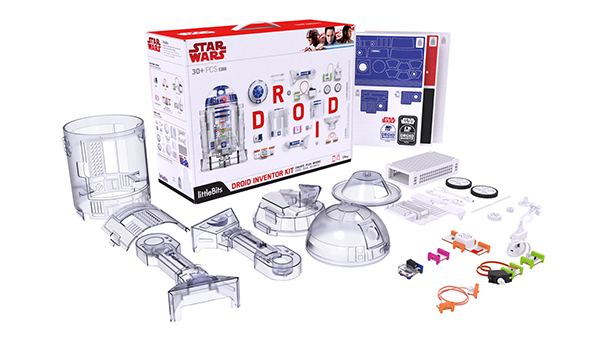 Comes with everything needed to create a Droid - down to the battery! Smart device controls like joysticks & sliders enable Force Mode, Drive Mode & more. Each Droid can make 20 sounds straight from the Star Wars films. The app is loaded with 16+ missions to keep kids playing day after day. Kids can add personality with stickers, sounds, lights, and craft materials. 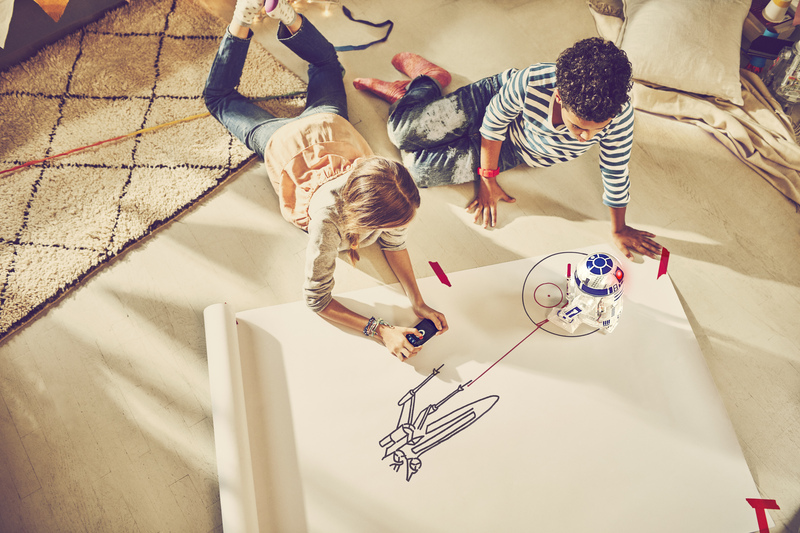 Kids are encouraged to think outside the box as they create new Droids. Rearrange Bits in unlimited ways to invent new, imaginative Droids. 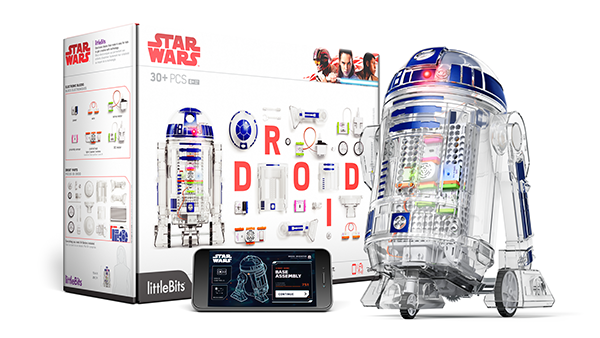 Kids can give their Droids new powers with additional littleBits kits & Bits.